Engage with the nutrition community and promote healthy lifestyles by supporting the ASN Walking Challenge. Attendees will register to compete in a meeting-long competition to see who takes the most steps. Participants can use their own fitness trackers or pick one up onsite. “Scan in” kiosks will be available for participants to receive current results. Cumulative results will be posted on video screens, and top steppers will be recognized. Supporter will be prominently displayed in app, leaderboard, webpage. Your booth can also be incorporated into this challenge to drive traffic. This popular program recognizes the highest quality research presented by students and young investigators at ASN’s Scientific Sessions. The program aims to bring visibility to the good work being done by future leaders in nutrition science. This competition attracts an enthusiastic, packed crowd! 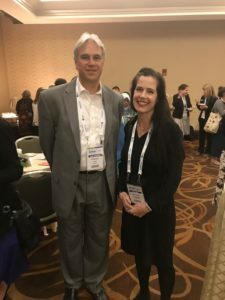 Faculty members from nutrition, food science and other related biomedical sciences value the opportunity to gather to share successes, challenges and innovations in undergraduate and graduate education. This community continues to grow each year, and ASN hopes to offer expanded events with corporate support. 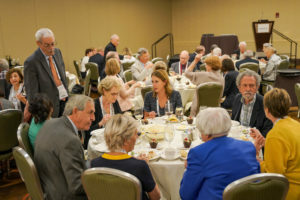 This prestigious event honors luminaries in the field of nutrition – ASN Fellows, the highest honor that the Society bestows; Past-Presidents, high profile leaders in the nutrition community; and 50-year members. Attendees purchase tickets to the luncheon, and your support helps offset the costs of this popular event. Recognition at the event and the ability to attend is included. Join us in this new endeavor to bring young leaders and established scientists together to talk about hot topics in nutrition. Short, entertaining presentations from esteemed scientists will kick off an extended discussion with the audience, all of this over a cold beverage in an informal setting. Recognizing the growing number of researchers with an interest in sports nutrition and performance, ASN once again will conduct a networking event to build this scientific community. This event will be held in partnership with the Collegiate and Professional Sports Dietitian Association and scientists doing research in protein, energy and macronutrient metabolism and other related areas will be invited to attend. Researchers will meet practitioners who are translating findings into practice and learn how they can best collaborate to advance the field. 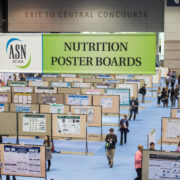 This popular event that convenes the global nutrition community provides opportunities for interaction among young and senior investigators. This is an excellent opportunity for your company to show your involvement and support of the global nutrition community. Attendees can join their colleagues for a sunrise exercise session hosted by personal trainers. Your support provides exclusive branding on all conference pre-conference marketing onsite signage. Your logo will also appear on the T-shirt given to each day’s participants. 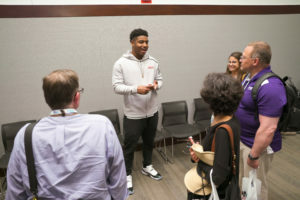 This vibrant event is similar to the concept of speed dating and allows students an opportunity to speak with mentors from a variety of sectors (academia, industry, government, etc.) and gain insight into a variety of career paths. 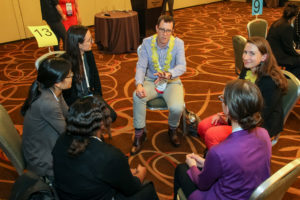 Students have the chance to rotate through several groups of mentors and participate in open networking, as well. The ASN Early Career Nutrition (ECN) Interest Group is proud to organize their annual mixer for young professional and postdoctoral members. An honored guest will speak and light refreshments will be served. 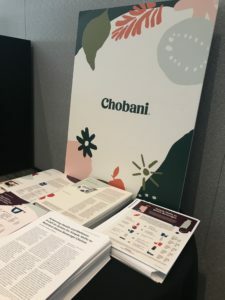 This is an event designed for our early career members to network and discuss the challenges and victories associated with embarking on a career in the nutrition and dietetics field.